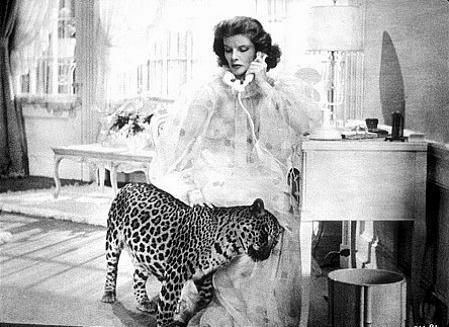 Bringing Up Baby, a very funny comedy and a classic. 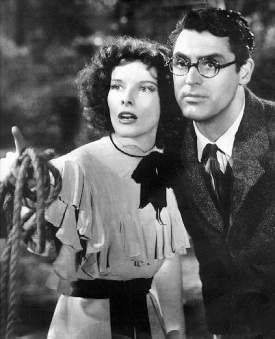 Katherine Hepburn and Cary Grant deliver a great performance within a hilarious script. 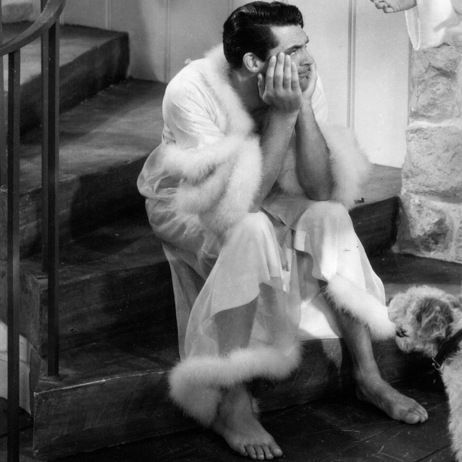 Love blooms for a hapless scientist and an unstoppable heiress in Howard Hawks's classic screwball comedy. 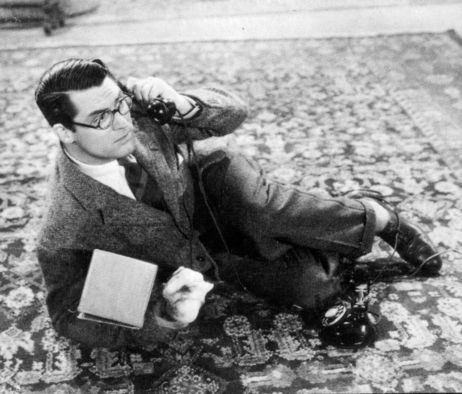 Out to win the heart of paleontologist David (Cary Grant), heiress Susan (Katharine Hepburn) lures him to her home. The hilarity begins when Susan's dog steals David's prize dinosaur bone and her pet leopard, Baby, is mistaken for a zoo escapee. One madcap adventure follows another as they try to save Baby -- and ultimately fall in love.